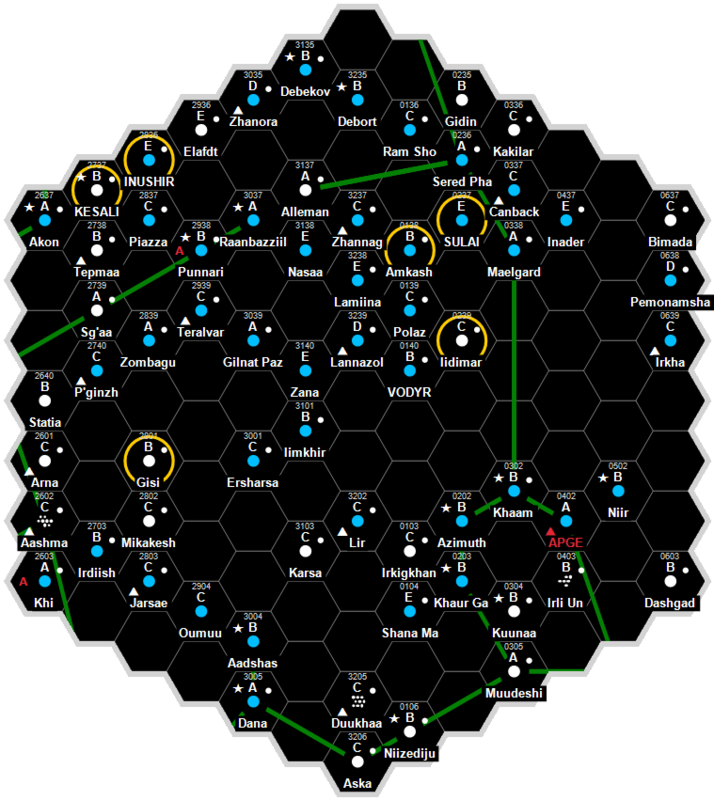 Oasis (Za 3130) is a pre-agricultural, moderate population garden world with over a hundred million, but not yet at a billion sophonts in population size. This world was once known as Barnet (Za 3130) (world). Oasis is a binary (two-star) solar system. Oasis is a pre-agricultural, pre-high garden world with over a hundred million, but not yet at a billion sophonts in population size. Its economy and population are growing and living conditions are expected to gradually rise barring outside forces. Oasis (Za 3130), as a member world of the Third Imperium, holds the estate of three members of the Imperial Nobility, who are charged with overseeing the world.